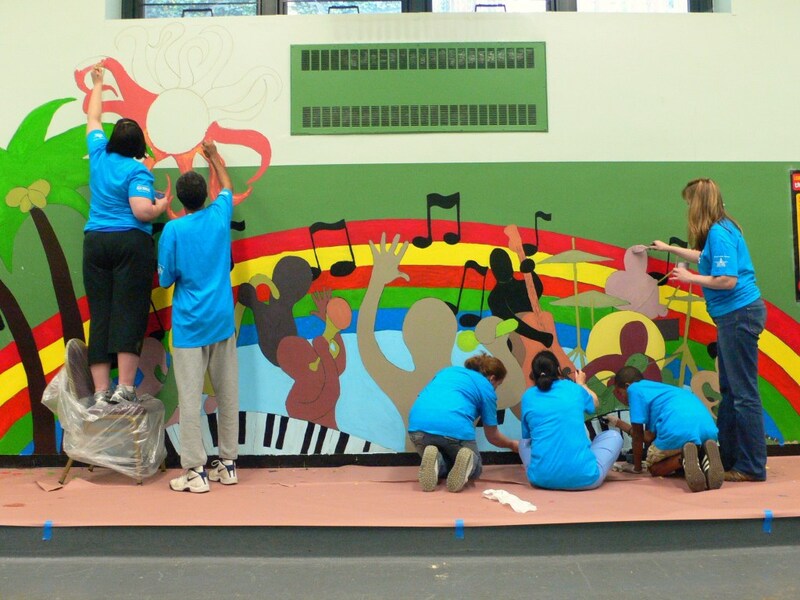 Put on your dancing shoes and check out the mural that these Novo Nordisk volunteers made jump, jive, and wail! Great work guys! 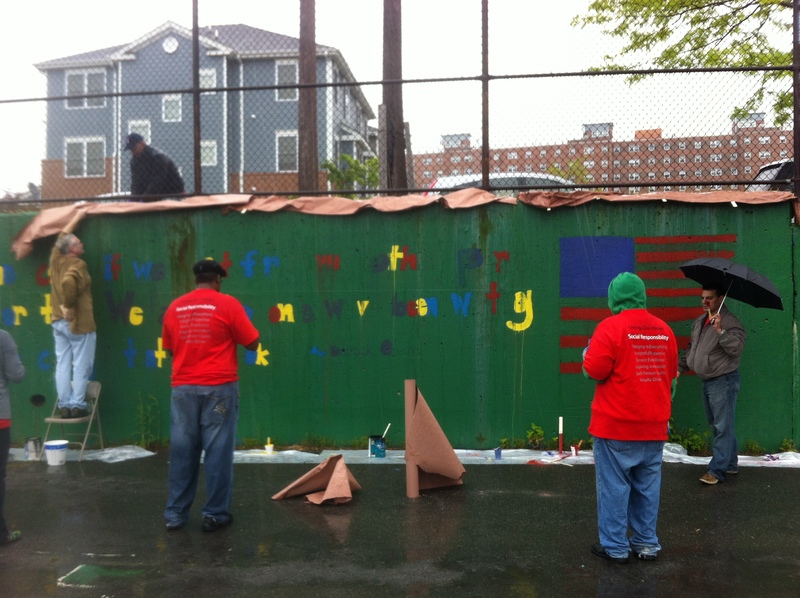 Rainy days and Mondays don’t get these ADP volunteers down! Thanks for being such great volunteers and not letting a little rain dampen your spirits! No one can be scared of this cute lion. These Volunteers turned this big cat into a cuddly kitten! 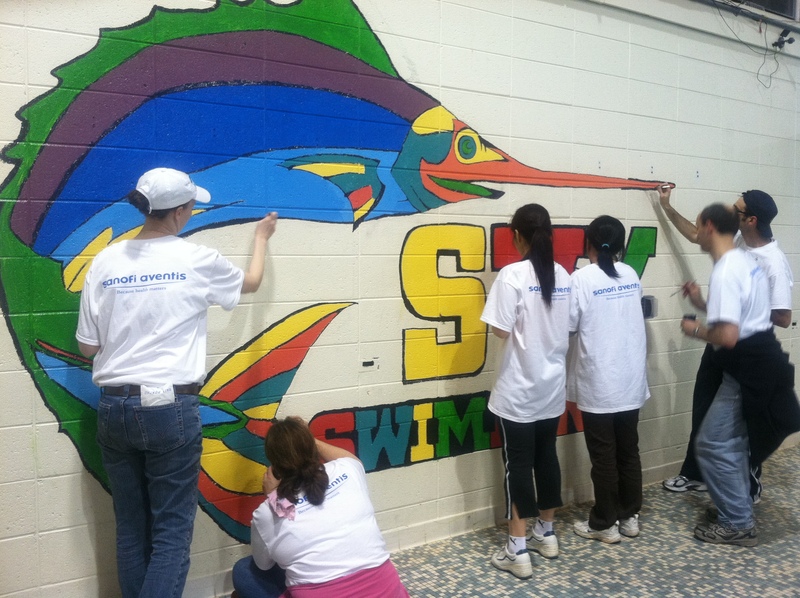 These Sanofi Aventis volunteers did a great job revitalizing this agency in Bridgewater, NJ and that’s no fish story! 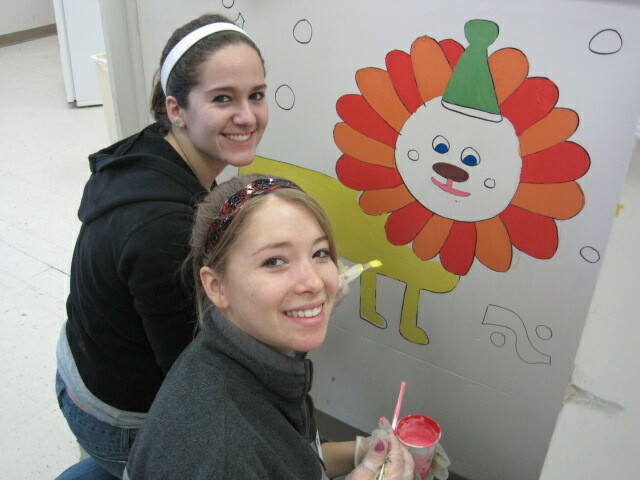 These Roche volunteers did an excellent job painting the kitchen of this Passaic County agency. 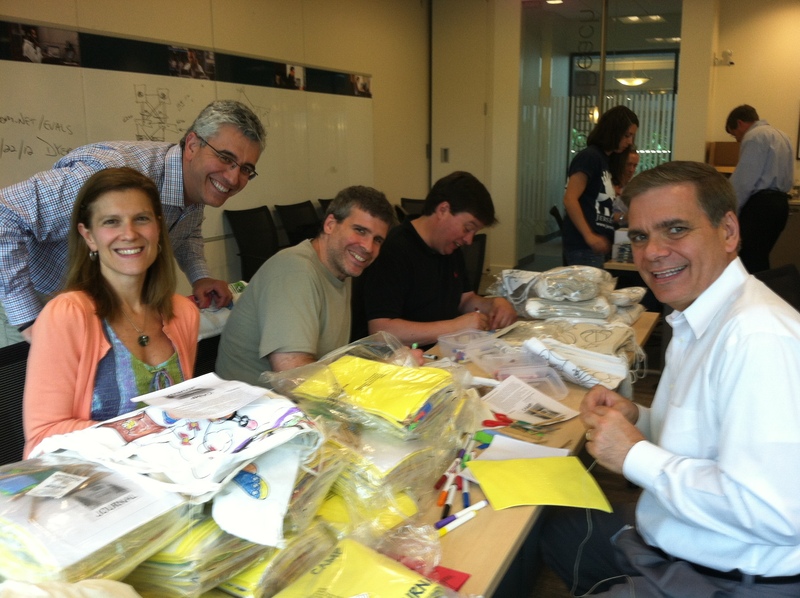 These Cisco volunteers assembled First Night Kits, Camp Kits, created no-sew fleece blankets, and painted canvas murals all from the comfort of their office! Want to learn more ways you can volunteer? Check out our website! 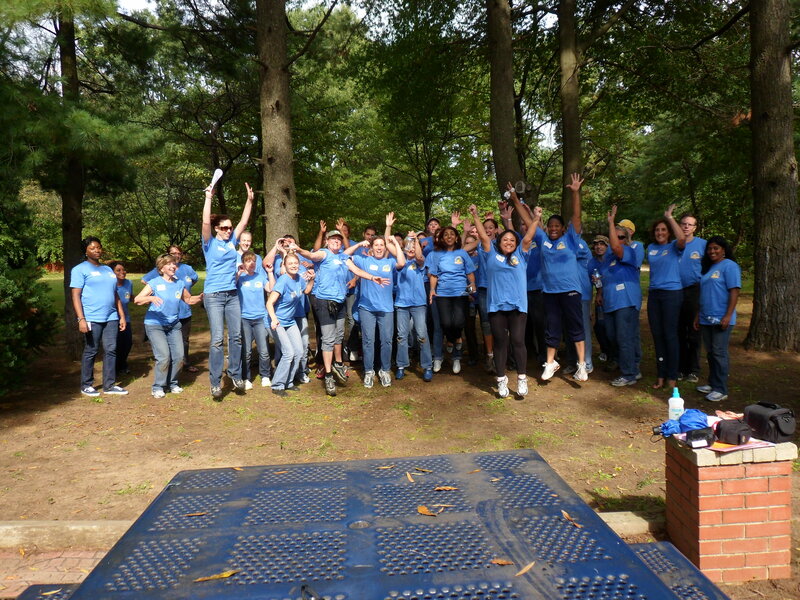 At first glance it looks like these American Water volunteers are jumping for joy at the great work they did in Cinnaminson, NJ but they are just really happy summer is here!